I'm itching for spring which makes me want to do drastic things. Thankfully, my bank account doesn't allow me to be too crazy but since I am craving change I've compiled a list of zero to low cost home updates. Hopefully doing a few little tweaks around my house will appease me until the sun decides to come back out and stay. So washi tape is definitely a thing now. I remember it was about this time last year when I first heard of it. My friend was planning her wedding and she used it on her invitations. I thought it was cool but I didn't think too much about it. Then suddenly, it was everywhere. 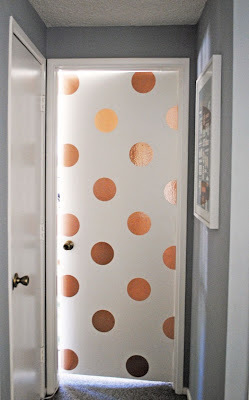 Washi tape has many uses but I never thought about using it on my walls. Thankfully, there are people out there that are more creative than me to think of it. Want in on the animal head trend but don't want to pay for it? Done. 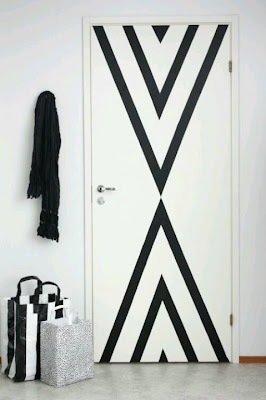 I love this door design, mostly because it is graphic and black and white, but also because it isn't permanent and that is a beautiful thing. 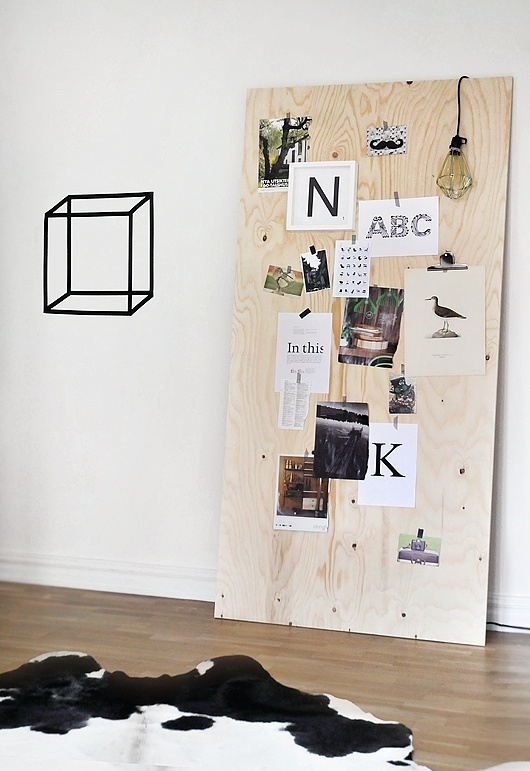 Maybe today you want a large geometric shape above your bed and tomorrow you will want to frame out pictures with the tape... who knows? The possibilites are endless and all for just the price of the tape itself (between $2-15). I don't think I've ever been to a house or apartment that didn't have at least one can of paint in the basement or utility closet (you know I have like 17), so for the majority of you these projects can be free if you use what you've got. 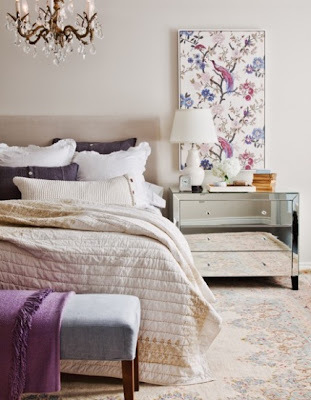 Don't be afraid to use the wall color from one room as an accent color in another. 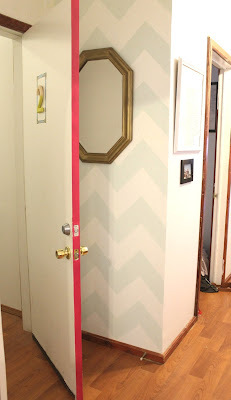 For example, I painted my kitchen with one color, used the same color for the accent stripe in the entry way, and then I used the rest of the gallon to paint the second bedroom after I repainted the kitchen a different color. 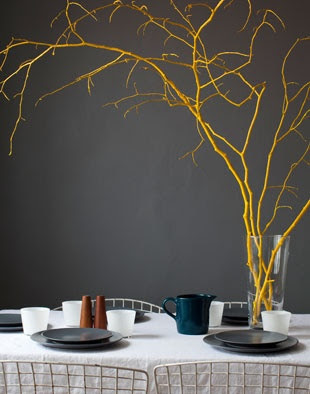 Same for a gallon of glossy white paint that was used for my campaign dresser, to touch up the trim around the house, and to paint a small serving tray. I like the idea of painting the back of a bookcase, but it may be more work than it's worth. 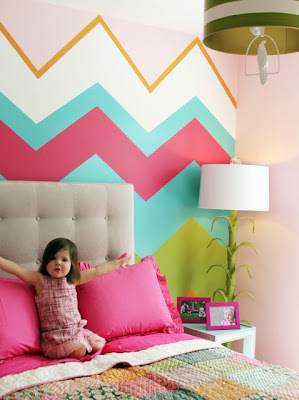 This is a picture of a kids room but you know I'd totally paint stripes on my own ceiling. This project could be free but dang would it be a lot of work. Painting a design on the wall can be a very simple and easy update. 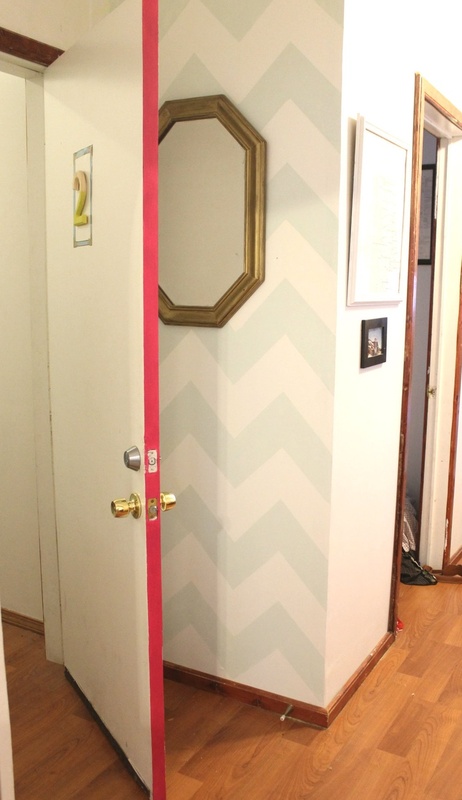 I painted a thick vertical stripe in my entry in under an hour (half of that was measuring and taping) and it cost me nothing. 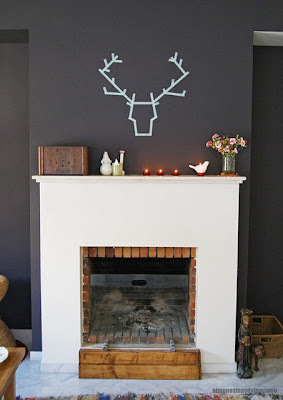 Not only is painting a design on the wall pretty cheap it is also super easy to cover up when you're over it. 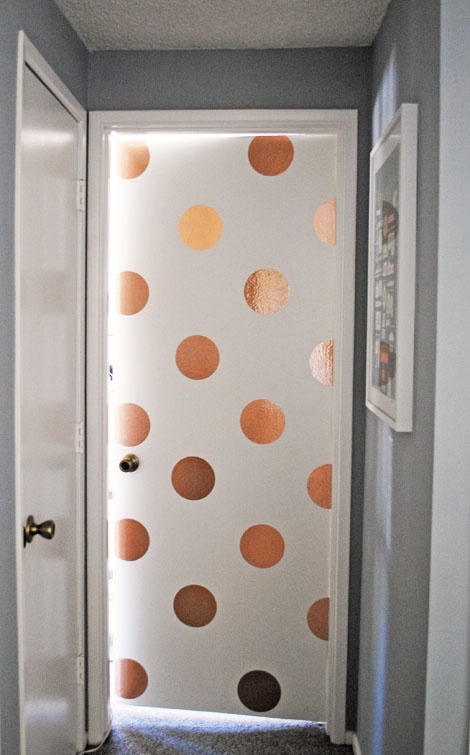 Don't limit your painting to just walls, I love this door with polka dots. So cheeky. 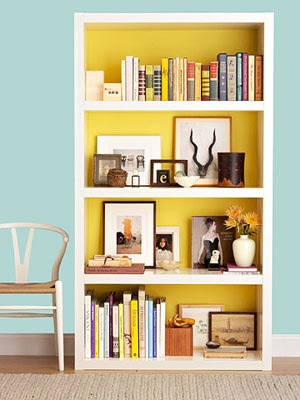 Frames can get expensive and hanging them can be tiresome so chuck it all and just stick the photos directly on the wall. Why not? 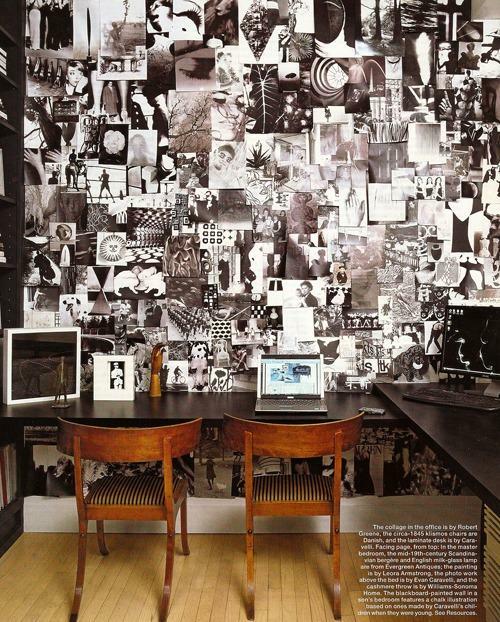 This reminds me of my postcard wall art which only cost about $25. 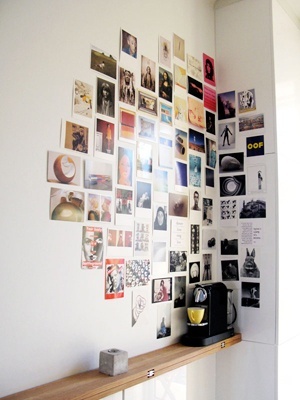 Chances are you have a bunch of printed pictures in albums lying around so grab a bunch and stick them on the wall. If you're anything like me all your pictures will be pre-2008 (which was the last time I bothered to print a picture), but who cares if everyone thinks you are obsessed with the year 2006 or your vacation to Daytona Beach, you just tell them you are frugal and that was the last time you spent the time and money to print pictures. This is bananas. I love it. Also, they may be more expensive but I highly recommend 3M strips for projects like this. They stick good enough for a long term hold but they won't damage your wall or pictures. If you are even remotely crafty you probably have random bits of fabric hoarded away some where. 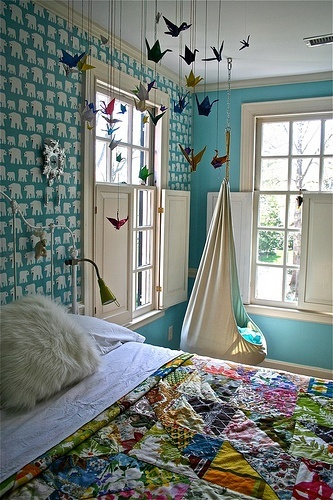 Or maybe you have an old shower curtain or duvet cover lying around. 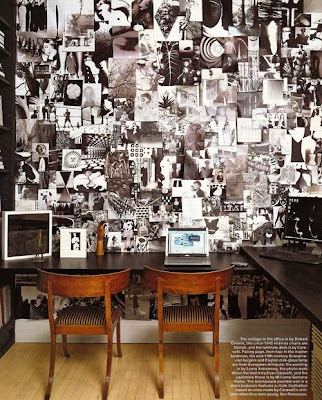 Either way you probably have fabric of some kind that can be repurposed as art. 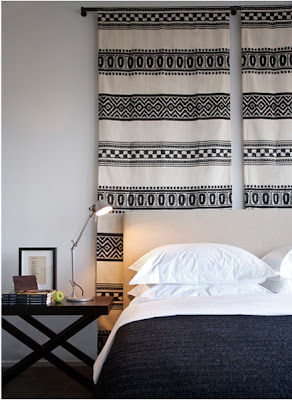 Whether framed (I've used fabric as faux picture mats before) or hanging like a tapestry, fabric looks great on walls and if you use what you've got it can be a pretty cheap project too. I love this big ol' piece of framed fabric. They could have easily used that fabric for pillow covers but framing it is unexpected. I've been obsessed with paper cranes since I was in the 4th grade, I still remember how to make one, so this installation of floating paper cranes makes me very happy. Gather some colorful paper, string, and thumbtacks, watch a YouTube video on how to make a paper crane and bam! You have an awesome art installation. 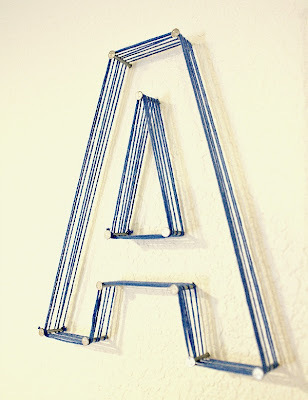 String art is majorly trending and I can't say I'm a fan, but I do like this one because they just nailed it right into the wall and wove the string around. It's sort of irreverent and I like that. I'm super inspired by all the creative inspiration boards floating around out there but there is something about this big piece of unfinished plywood leaning against the wall that I really like. It's bold and raw. Bonus points for the use of washi tape and the bulb draped over top. I started out using HTML but realized quickly that it was unnecessary unless I'm adding a specific code. I almost always use WYSIWYG now.